Boil together in a saucepan for 10 minutes. Add the milk and manuka honey to sweeten. Add some boiling water to a few sprigs of rosemary and a teaspoon of lavender flowers – those that you have in the garden are perfect. Allow the mix to brew for a few minutes, strain and enjoy. Add hot water and plunge all contents in a cafetiere. Leave for five minutes and serve. Recipe devised by Mary-Lou Harris, senior nutritionist with New You Bootcamp (www.newyoubootcamp.com). 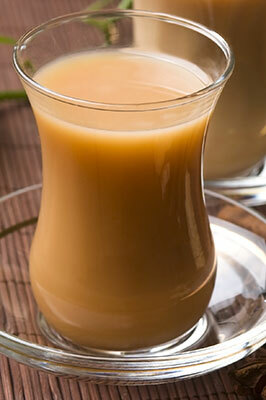 This refreshing tea will help to support your digestive system and makes a great after-dinner drink. 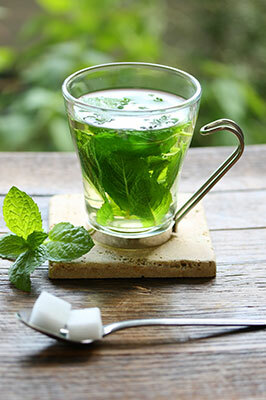 Mix two parts green tea to one part each of spearmint, lemongrass and yarrow, then add boiling water. Allow the mix to brew for a few minutes, strain and enjoy. *Please seek advice from your herbalist before making this tea if you have any medical conditions.